Chad, officially known as the Republic of Chad, is a landlocked country in Central Africa. 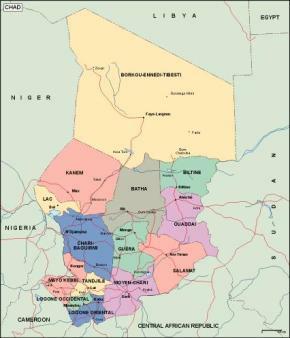 It is bordered by Libya to the north, Sudan to the east, the Central African Republic to the south, Cameroon and Nigeria to the southwest, and Niger to the west. 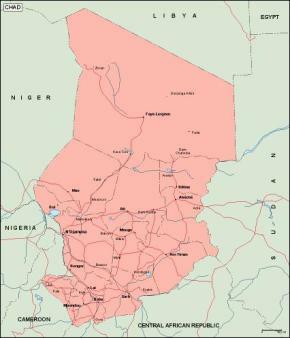 Due to its distance from the sea and its largely desert climate, the country is sometimes referred to as the “Dead Heart of Africa”. 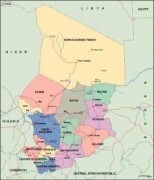 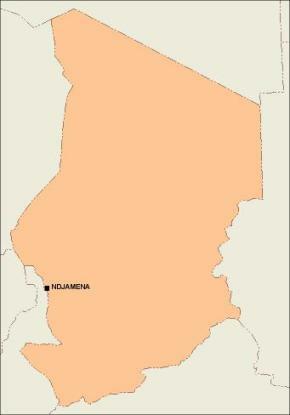 Chad is divided into multiple regions: a desert zone in the north, an arid Sahelian belt in the centre and a more fertile Sudanese savanna zone in the south. 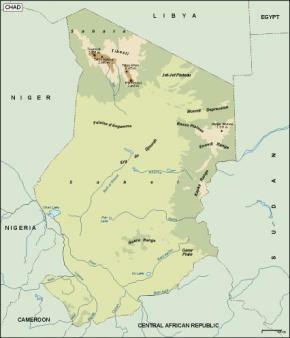 Lake Chad, after which the country is named, is the largest wetland in Chad and the second largest in Africa. 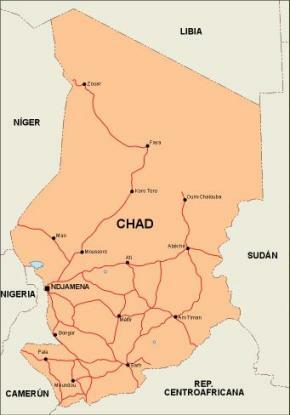 Chad’s highest peak is the Emi Koussi in the Sahara, and N’Djamena, (formerly Fort-Lamy), the capital, is the largest city. 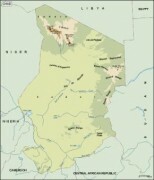 Chad is home to over 200 different ethnic and linguistic groups.